Call Us Today(289) 341-1248 Get a quote now! We provide quality commercial door repair in North York since 2010. Our focus is to deliver excellence to every customer through quality services. Get a quote today! Commercial door repair, door servicing, door locks, door hinges or any other related service, we can do it all for you. 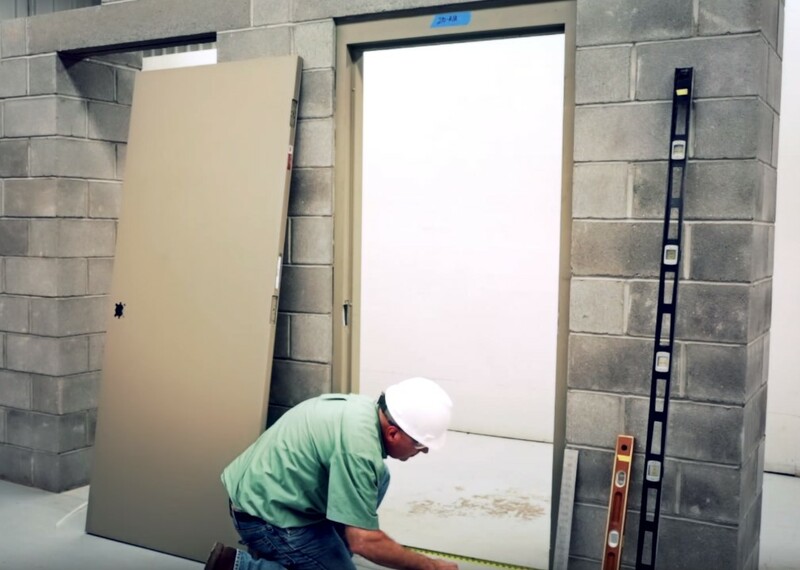 We have a dedicated team of door repair technicians who are experts in commercial door repair service and have been serving the valuable North York customers for many years. Is your main storefront door not opening properly? Or maybe your industrial establishment’s door hinges are worn off from regular wear and tear? Giving us a quick call can help you get rid of the door repair problem immediately and help you to focus on the other areas of your work and life. Same day service is our speciality, and all you need to do to book this is give us a quick call. You could also leave us a voicemail or message which will be promptly returned. We are ready for all your replacement needs and door accessories the moment you contact us and let us know of your exact requirement. With our vast range of door accessories, we are sure to serve all your door repair requirements promptly. In case, we don’t have your requested door item; we will arrange for it as per your desired purpose. Prompt resolution of small door issues will help in reducing the time you may spend on getting bigger door issues resolved. Get high-quality door accessories and customize your office, storefront or industrial establishment. If it is a particular color you are looking for or maybe a type of finishing on the doors, all your special requests can be nicely accommodated to the best of our efforts. All customers needing door repairs are serviced by our bonded, insured and licensed technicians. They employ the most advanced techniques to make sure that each one of our customers is delivered the highest level of customer service. We create and maintain the superior service standards to make sure that our North York door repair business is the trusted source for all our valued customers in the North York area. Storefront doors are the face of the organization and need to be well maintained. Just give us a call to know more about our commercial door repair and servicing plans. We can spend time with you to understand your requirements and suggest a suitable annual plan to maintain the durability of your storefront doors. Glass, aluminium and wood, all types of materials can be found in doors inside and around the house, office and store. Installation, servicing and repairing of glass, wooden and aluminium store can be done in an expert and prompt manner. We aim to minimize the business downtime by reacting quickly to your door repair problem. Time is of the essence for your business, and we realise that. That is the reason we aim to address your door repair concern promptly. Allow us to use the latest technology and well-trained technicians to serve you. All of our technicians are subject to stringent identity and background checks to make sure that they are genuine and great at their work. Once you choose us, professionalism and high service level are guaranteed.